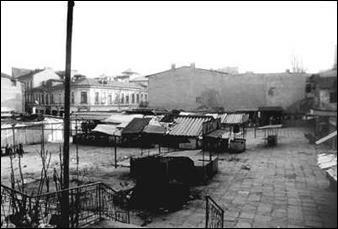 The Lipscani area is a lively part of old Bucharest which polarized various trades between the 15th-18th centuries. The Lipsca is apparently the Romanian transcription of the name of Leipzig. and Lipscani was the name of the merchants who sold goods imported from Leipzig. The Lipscani is a famous street in the historic downtown of Bucuresti only a few meters far from the Kilometer number 0 of Romanian Capital .After the earthquake in 1977, the historic area of Lipscani was often threatened with demolition; when they started to build the so-called Civic Centre on Ceausescu's order, in its close vicinity, Lipscani entered an age of decay and oblivion. It was partially restored after 1990, especially in the Banks area, but most of the old houses and narrow sloping streets still wait for some Prince Charming investor who may return to them their formerly life and glamour. 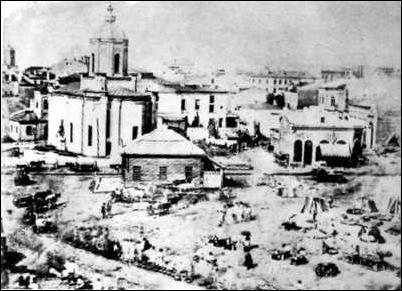 Even before the official foundation of Bucharest (September 20, 1459), the Lipscani area represented the heart of the city. Once the political and economic power concentrated in the area of the Princely Court, around 1600, a lot of guilds and shops came into being, and that is why the area would be populated with goldsmiths, hatters, shoemakers, tanners, furriers, saddlemakers, grocers a.o. 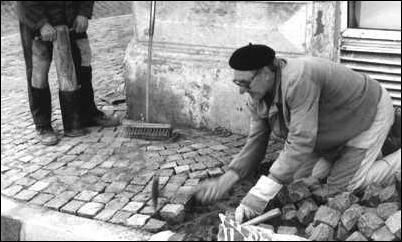 Many streets in the area still bear the names of those tradesmen and craftsmen. Along with the Romanians, there were communities of Greek, Bulgarian, Serbian, Armenian, Jewish, Albanian and Austrian merchants. This mixture of nationalities is relevant for the flourishing trade relationships established in old Bucharest, to the benefit of both shopkeepers and customers. 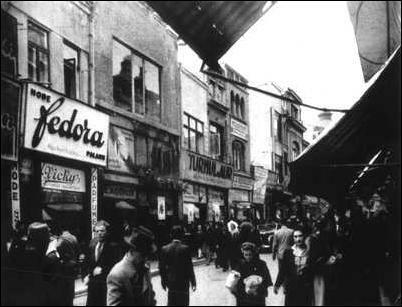 If one takes an imaginary trip back into time, he or she can see the shopkeepers out in the street near their stores, for they never stood behind the counter; they would watch people from the outside, encourage them to buy their merchandise, negotiate prices with them, for each pedestrian could be a possible customer, and thus contribute to their wealth. Luxury and poverty, expensive and cheap commodities were mixed up in the same manner in which the Eastern world would meet the Western one in this part of Europe. 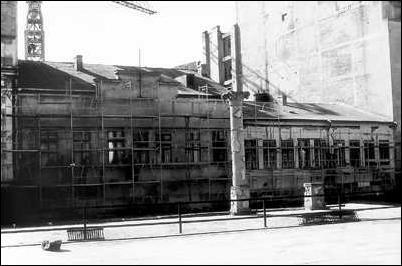 There were many inns built in the area for the tradesmen who would stop by for business in Bucharest, or would be on their way to other cities and fairs. Most of the formely known inns have not resisted to the test of time; others can still be seen, like the Inn with Lime Trees (1833) or the Manuc's Inn (1808) - see also presentation. When walking along the by-streets of Lipscani, one can still be impressed by the architecture of the one-storey houses built in different styles: Renaissance, Baroque, Neo Classic, or sometimes a mixture of them all, with their fine ornaments, baroque balconies, classic façades and eclectic decorations. 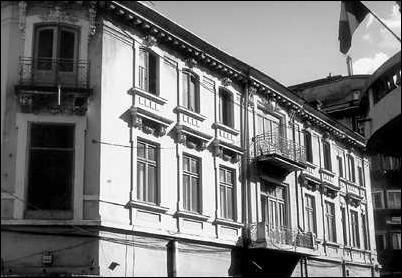 At the end of Lipscani St., there is the Smârdan St., where one can find some banks built in the 19th century, i.e. the National Bank (built between 1883-1885, and conceived by architects Albert Galleron and Cassien Bernard in neo-classic French style), Ion Tiriac Bank, the Bank for Agriculture. After having left the Smârdan St., one reaches the Stavropoleos St., well- known for the famous Stavropoleos Church built in 1724 by the Greek monk Ioanichie, in late brancovan style (see its vegetal decorations: the belt with floral motives, columns with flowers). Near the church, there is a "chiostro", a yard with three covered sides, in which there are columns, slabs and tombstones. The "chiostro" was designed by one of the most prominent Romanian architects, Ion Mincu who also restored the church in 1899. 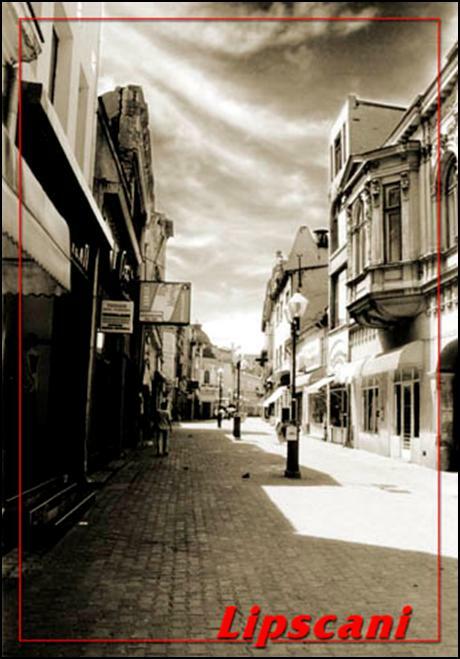 Where Stavropoleos St. meets Victoriei Avenue, there is a famous restaurant and beer house, i.e. "The Beer Cart" (1879). Both its façades and interiors are built in Neo-gothic style (see pavement, columns, arches, chandeliers, wooden staircase, furniture, mural paintings on the walls and the ceiling). This place was much sought by famous Romanian literary and political figures, who would often meet there and discuss topical matters of their time over a mug of beer. A bit farther, across the street, on the Victoriei Avenue, stands the Palace of the Savings Bank, an imposing and well-balanced edifice built in the French academic eclectic style by architect Paul Gottereau. The palace has a square shape, a large central dome with metallic ribs separated by glass, which allows natural light to come in; there are also four smaller domes, whereas the main entrance has a monumental archway, supported on both sides by two pillars in composite style. 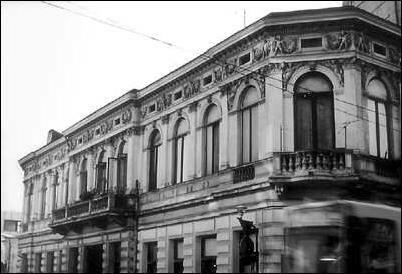 Going back to Smârdan St., one can admire the richly-decorated building of the Fashion House (1881) built in neo-classic style combined with Renaissance elements. The interiors are as luxurious as one can expect for a fashion house: marble staircase, columns with gilt ornanemts, stained-glass. 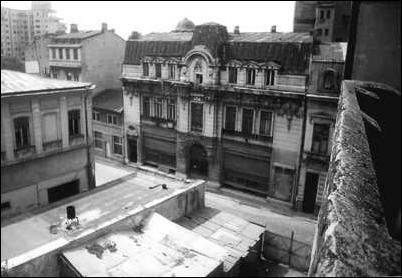 The Lipscani commercial area was developed around the Old Princely Court placed in the Princely St. (the present French St.), the oldest one in Bucharest. It used to be paved with oak beams by order of Prince Constantin Brâncoveanu in 1692, and was designed to link his Princely Court to the Mogosoaia Bridge (today's Victoriei Avenue), which led right to Brâncoveanu's summer residence at Mogosoaia. The oak beams come from the rich forests around Bucharest can still be seen at the entrance of Manuc's Inn (1804-1808), in the close neighbourhood of the present-day ruins of the Old Princely Court. May you wish to buy a souvenir like an antique, an art, or a Romanian folk object, glassware, a household commodity, or would you look after a fine lady fur coat, the small shops in the Lipscani area are there to please you.